Meet The Family Who Won The Disneyland Trip In a MEGA Summer Giveaway! Escondido-area Dad takes his two girls on the trip of a lifetime after powering down during a MEGA #OhmHour. 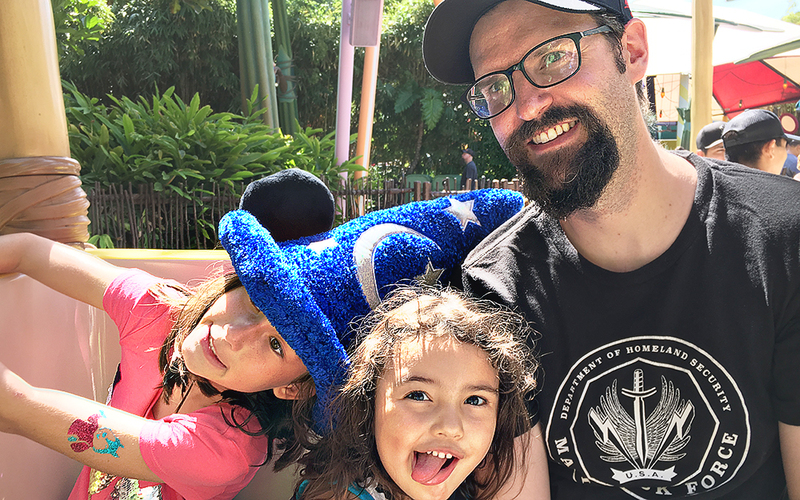 For Shane Dixon and his two daughters, #OhmHours are a time to unplug the electronics and reconnect with each other - a routine all three of them look forward to. On June 19, their energy saving efforts paid off when Shane’s OhmConnect username was called as the winner of a trip to Disneyland on OhmConnect’s weekly broadcast MEGA Summer Live. An OhmConnect user for just over a year, Shane participates in #OhmHours regularly and has now built up a streak of nearly 50 successful events in a row. Their family spent a few days at the Great Wolf Lodge and Disneyland, as part of their prize package from the MEGA Summer Live Giveaway. But the best part of OhmConnect for the Dixon family may not be the prize they won, but the time they’ve spent together during #OhmHours.